How do I change this quick only for the current file and for this session? Sublime Test 2 has this in the right bottom corner. 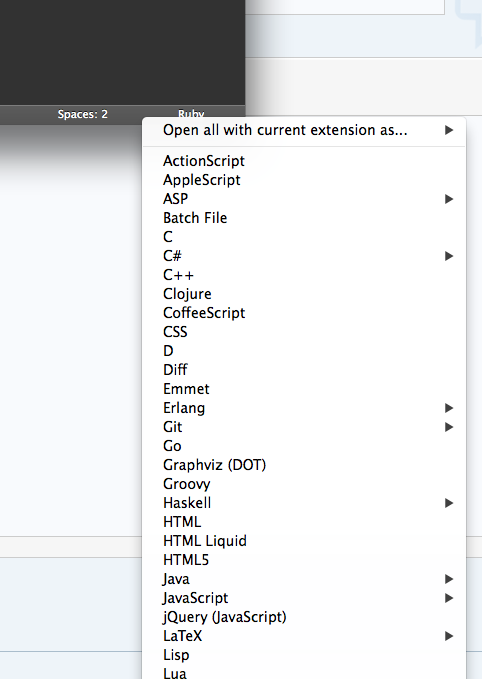 because I have for example handlebars files with html extension. Or when i have handlebars.erb files the syntax for handlebars are not there.